These are 5-color 8" cement tiles, using colors from the South Beach Palette. 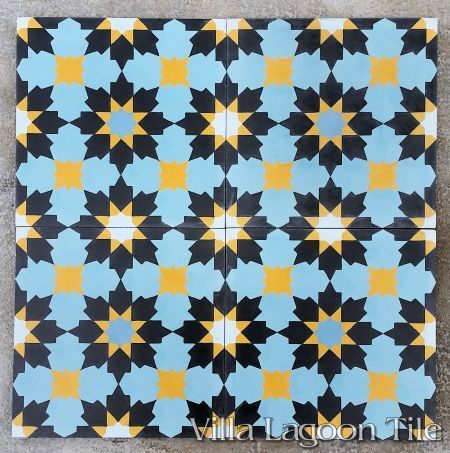 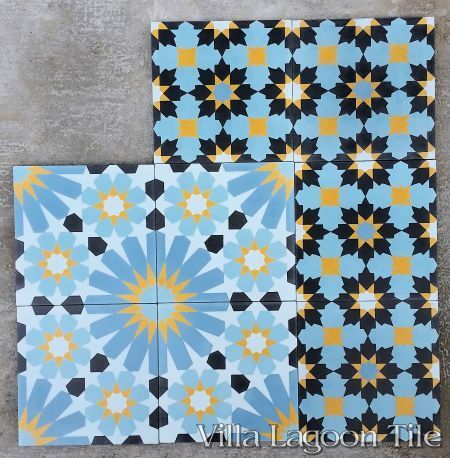 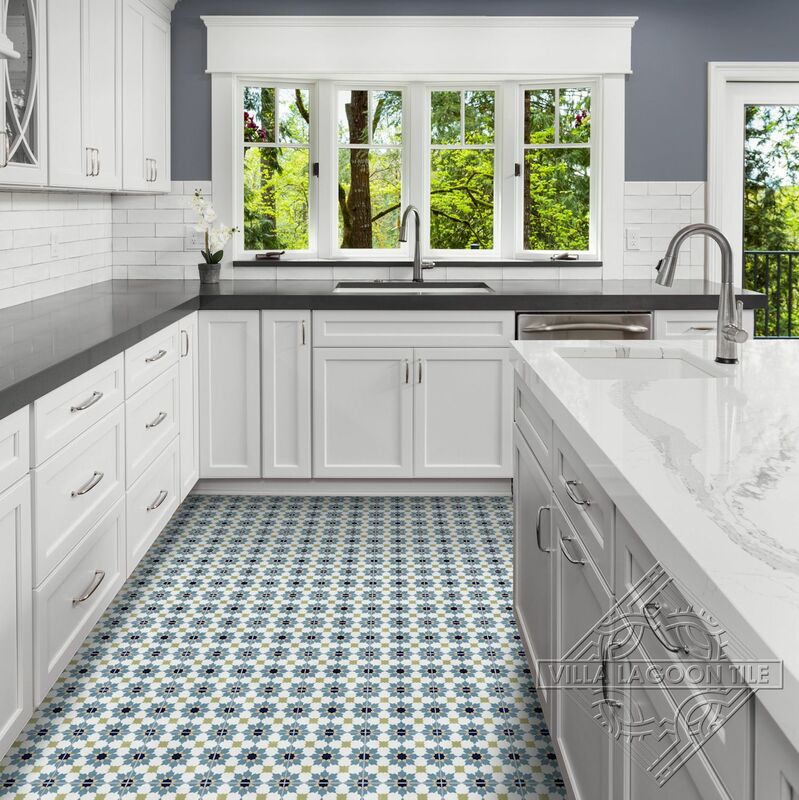 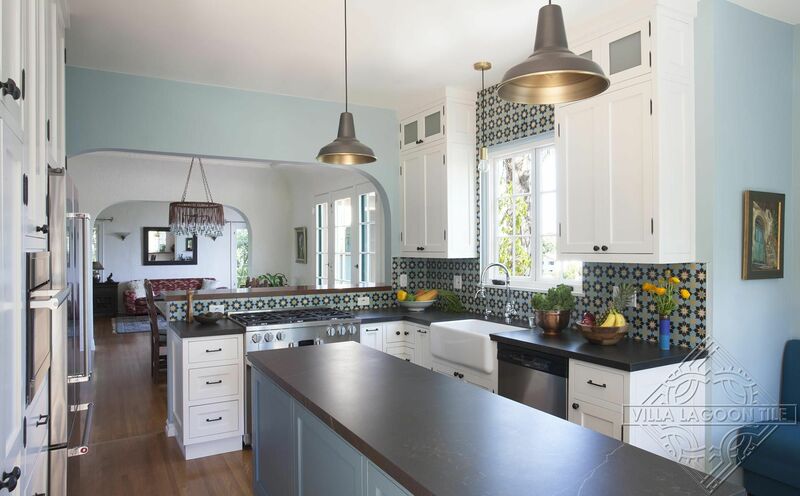 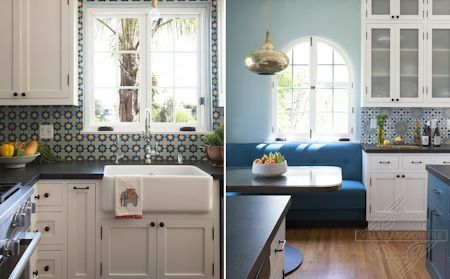 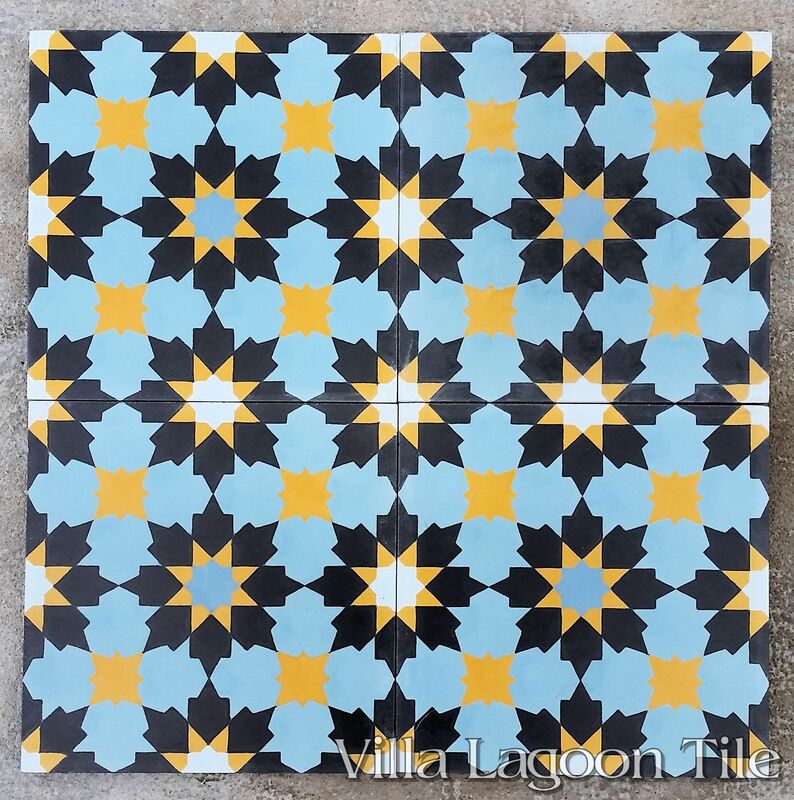 Villa Lagoon Tile's "Casablanca" cement tile features a classic arabesque pattern of repeating geometric starbursts, common to Moroccan tile and mosaics. 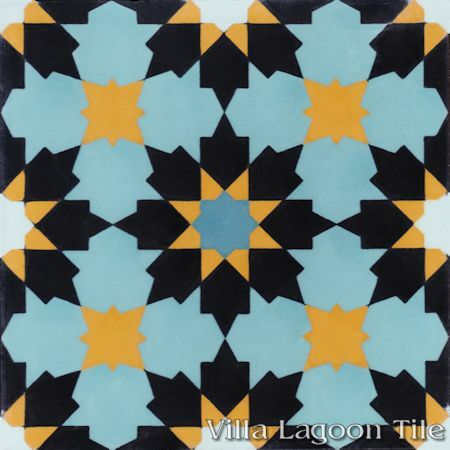 Standard Price:$7.29 per tile ($16.77 / square foot)12 tiles per box. 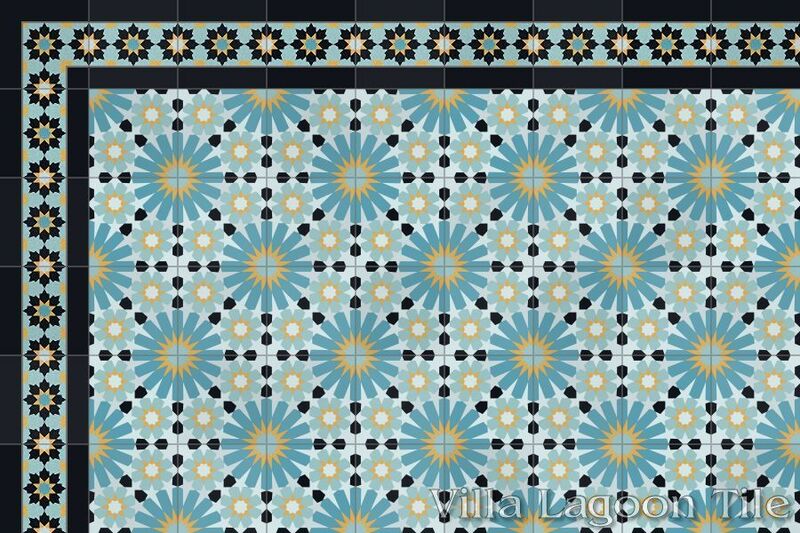 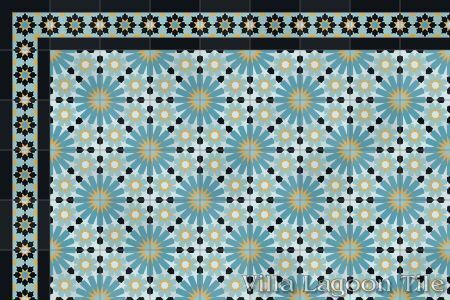 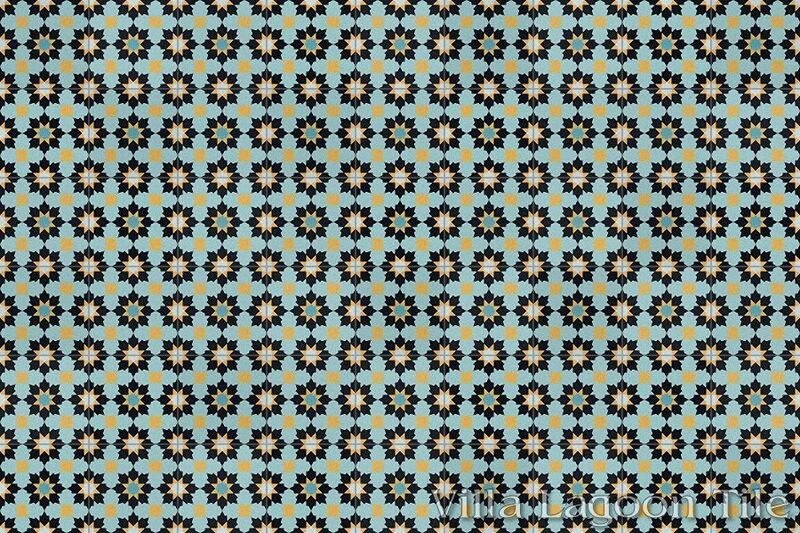 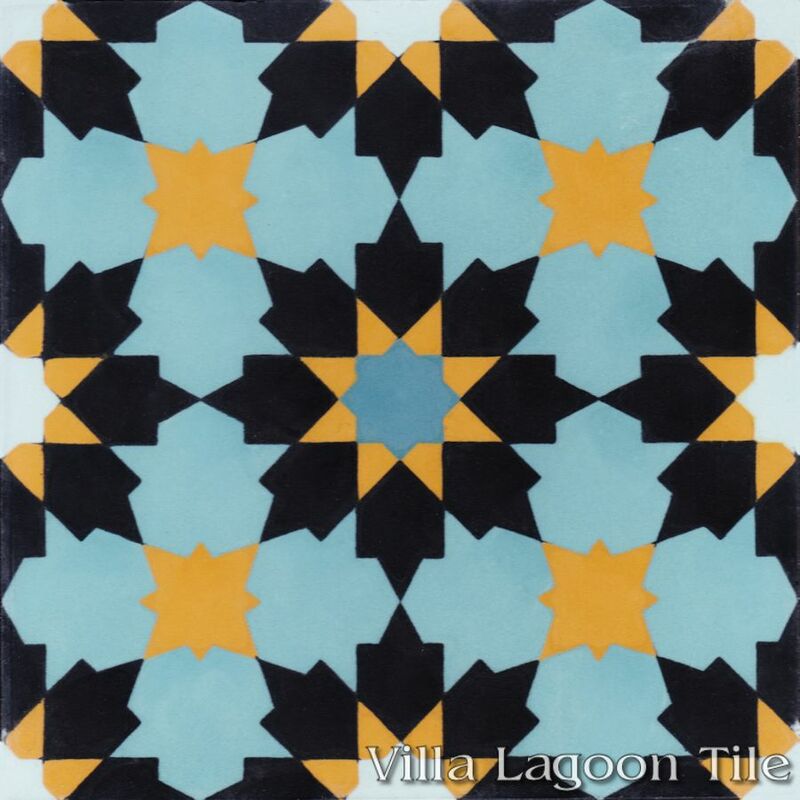 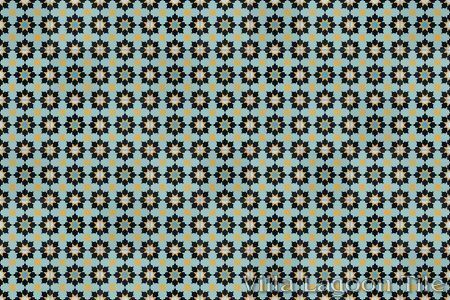 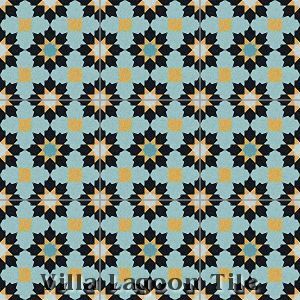 Villa Lagoon Tile's "Casablanca" cement tile pattern using Black, Atmosphere, Velvet Sky, Malibu Blue, and Maple Sugar from the South Beach Palette. 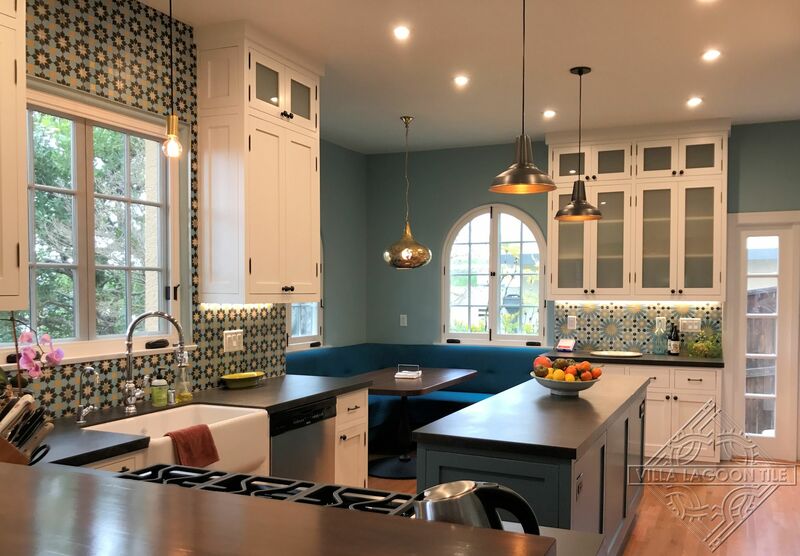 Photo courtesy a happy client. 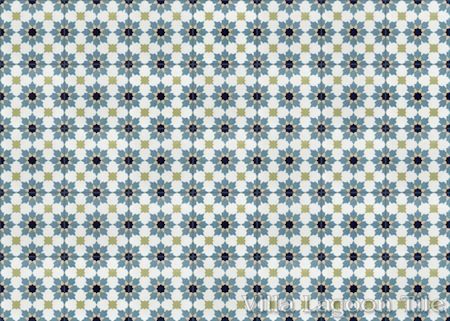 Shown here with Tangier Primero. Photos courtesy Marcia Prentice, designer, photographer, and author. 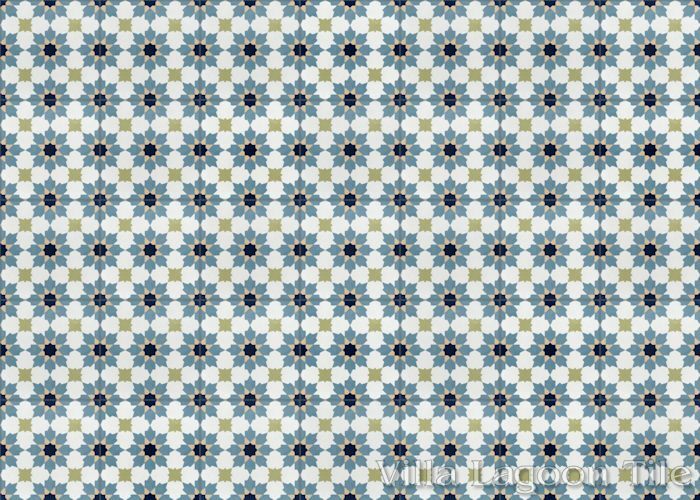 Shown here with Tangier Primero. 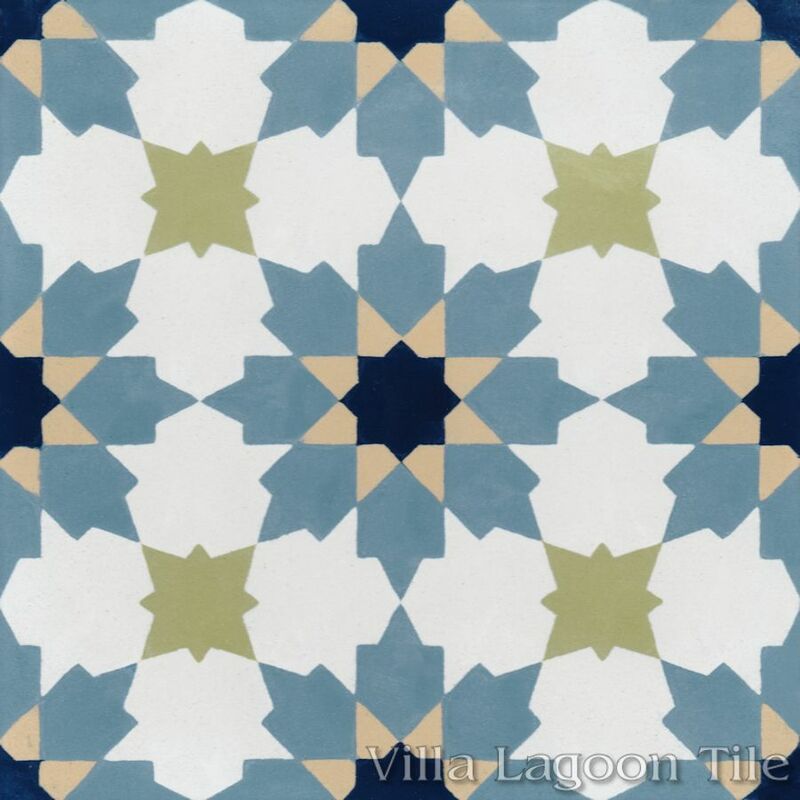 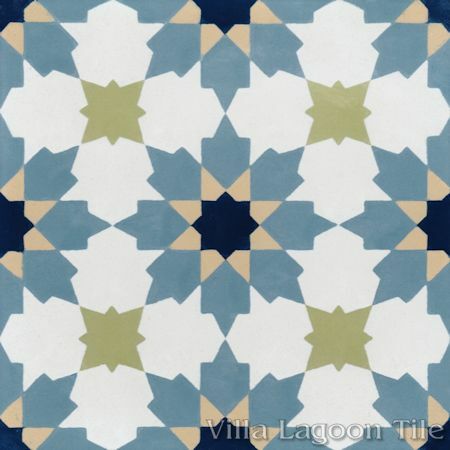 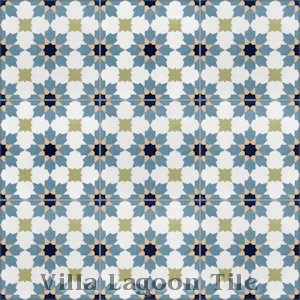 Villa Lagoon Tile's "Casablanca" cement tile pattern using Fog, Lichen, Stone Blue, Navy, and Camel from the South Beach Palette.